Composed by Robert W. Smith. Young Concert Band. 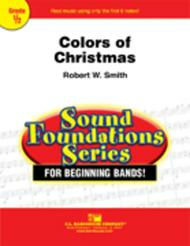 Sound Foundations Series. Audio recording available separately (item CL.WFR377). Score and set of parts. Composed 2012. Duration 2 minutes, 3 seconds. Published by C.L. Barnhouse (CL.023-4083-00). 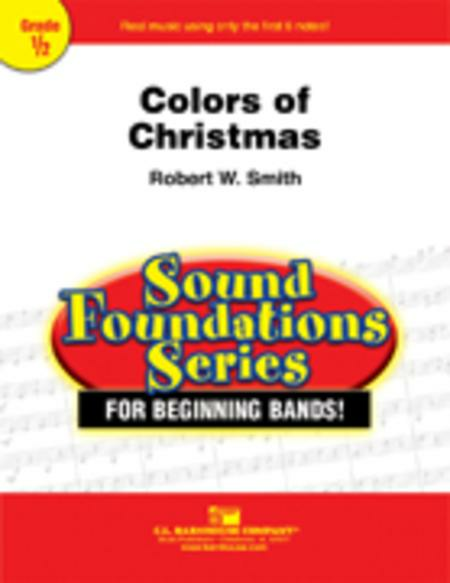 Featuring a number of standard holiday favorites, Robert W. Smith's "Colors of Christmas" provides a grand musical experience for the beginning band and their first holiday audience! Using only the first six notes introduced in most band methods, each section of the band is featured melodically. Scored for success and audience impact, this new overture for the holiday season will be a favorite on your concert for years to come!